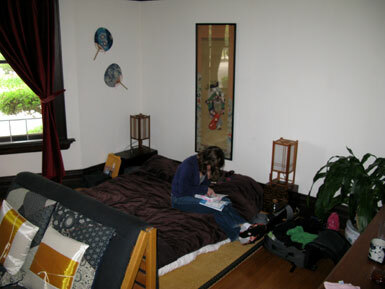 11:07 AM: Plotting out the plan for the day at Aunt Anna's home. 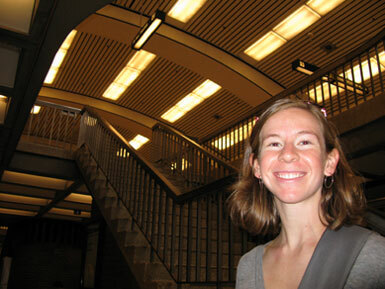 11:45 AM: At the Downtown Berkeley BART station. 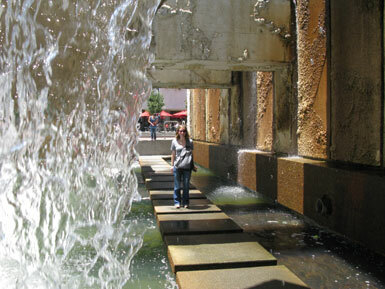 1:02 PM: Wandering through the fountain near Embarcadero. 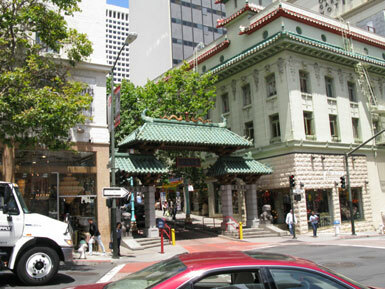 2:11 PM: Somehow I expected that the gate to Chinatown would be grander. 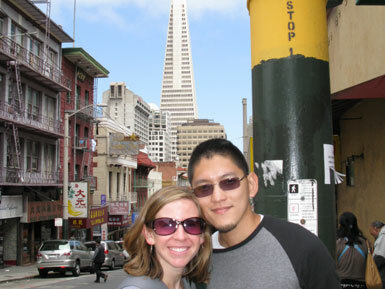 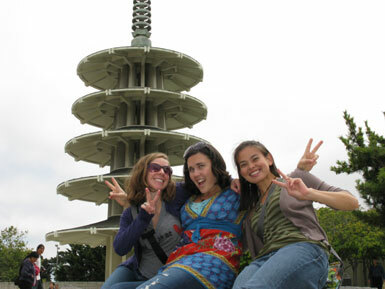 3:01 PM: In the midst of Japantown. 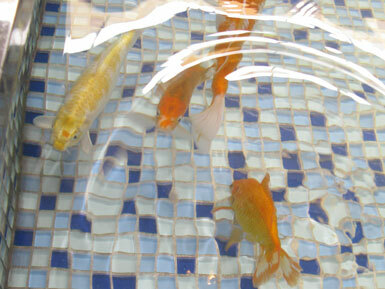 3:33 PM: It seems unsafe to have fish in an open air fountain in a mall. 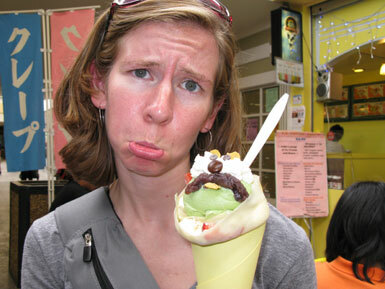 3:53 PM: Mr. Crepe is unhappy. 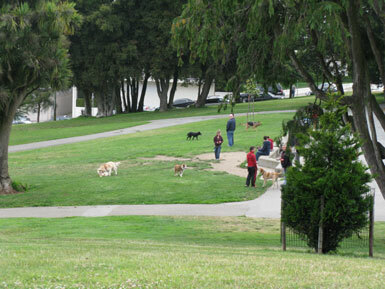 4:59 PM: In Lafayette Park, the dogs run free and the toddlers are fenced in. 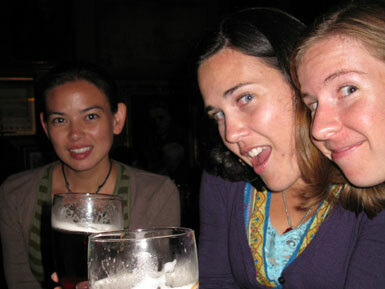 8:34 PM: At an Irish pub on O'Farrell. 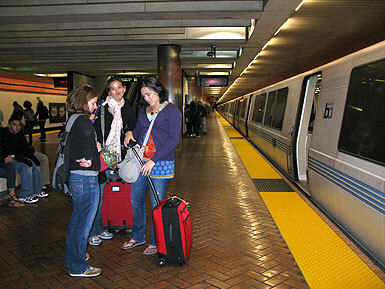 9:26 PM: Taking the Powell Street BART back to Berkeley.